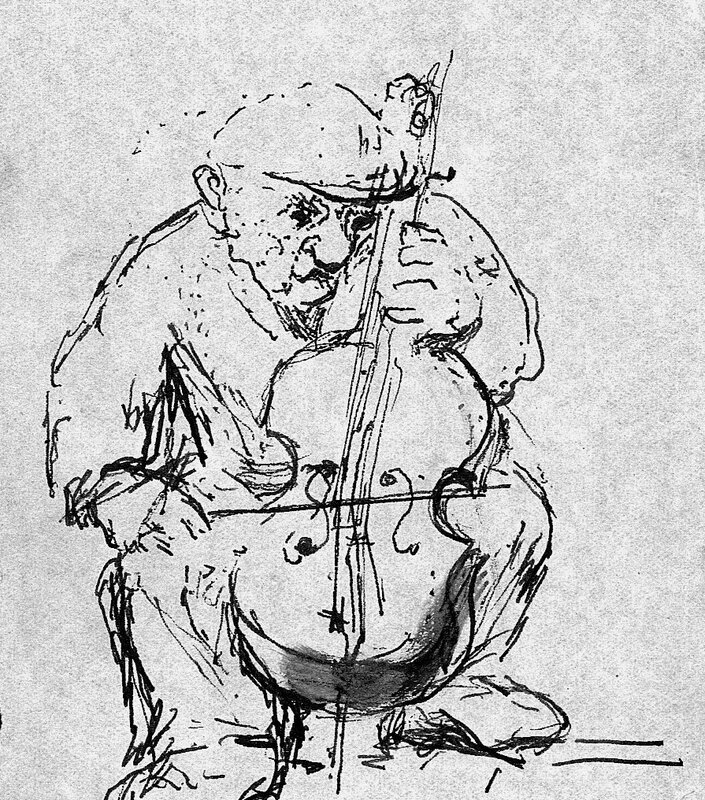 description A pen-and-ink portrait of a seated, elderly, male cellist, seen from the front, observed on the streets of Whitechapel. 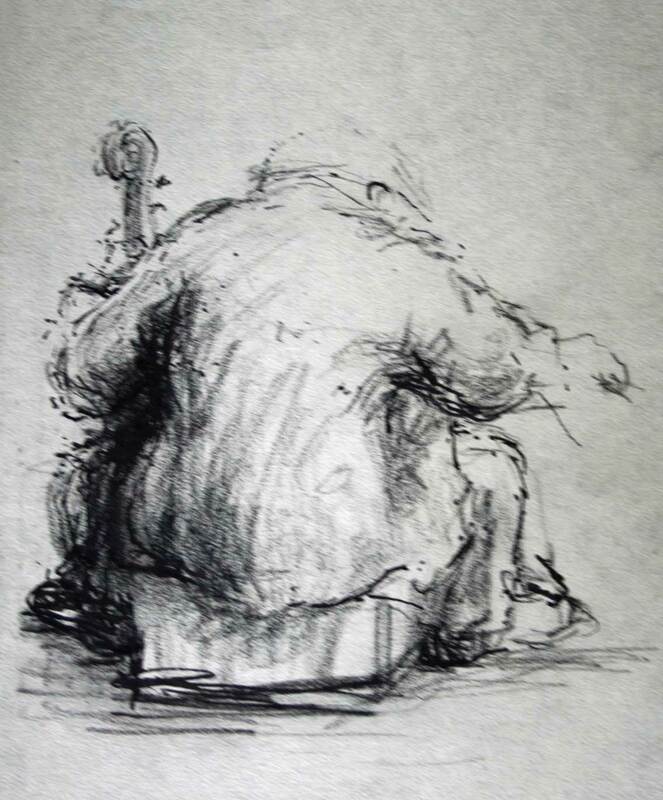 The same subject is also seen from behind in 'Elderly Cellist (Back View)'. This is one of a number of depictions of street musicians, then a common sight in the East End. literature ed., B. Planskoy, 'Eva Frankfurther 1930-1959: Paintings, lithographs and drawings (London: Peter Halban, 2001), illus. p. 34.